Grilling is a favorite pass time all year round. 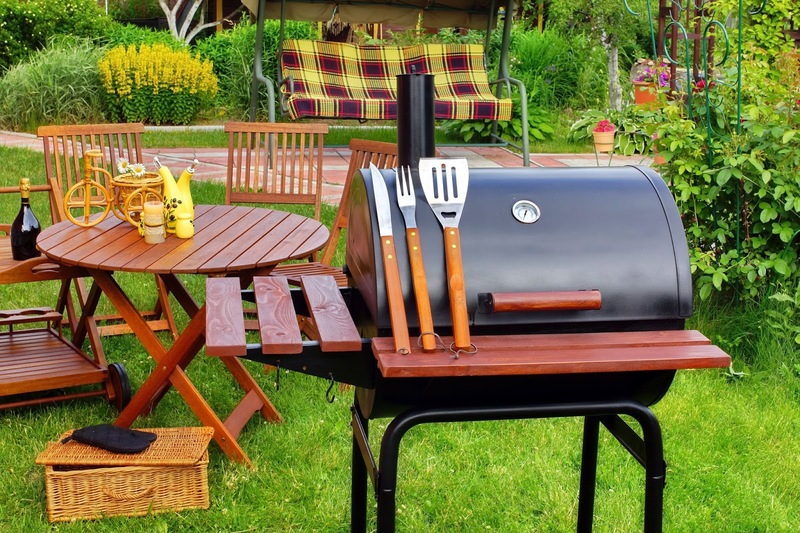 For some, it is always grilling season. The thing is, you really can grill almost anything. Even though your proteins may seem redundant at each gathering, you can change up the flavors you use every time to make it seem like a brand new recipe. Citrus and chicken are great together. The idea here is to use the zest from one orange, one lime and one lemon to create a compound butter for under the skin. Include a pinch of black pepper, a pinch of thyme and a pinch of cayenne pepper to the butter. Chill the butter and spread it between the meat and skin. Use the juice from the citrus fruits you zested to create a basting liquid for the chicken. Combine all three juices in one bowl with a pinch of sea salt, ½ cup canola oil, a teaspoon of black pepper and a teaspoon of Dijon mustard. Baste the chicken with this mixture every time it is turned for maximum flavor. The canola oil will help the skin crisp better. You can fix up a can of baked beans to make them seem like they were made from scratch. Put a few thick slices of sweet onion directly on the grill to char it. Get a cast iron or oven-safe skillet to render down some bacon on the grill, along with a charred chile pepper of your choice for a little heat. For something different, grill and ear of corn and let it char just a little bit. Let the corn cool just slightly and cut the kernels off into the pan with the bacon. Fold this into your beans with the charred onion and chili. Make sure the charred onion is diced small. Consider spicing the beans up with garlic powder, liquid smoke (only ½ capful), onion powder and a little Cajun seasoning. Maple syrup and brown mustard also help make it a little sweat when combined with the heat. One thing to remember when barbecuing is to keep your rubs simple. You should start with a base rub and make minimal adjustments dependent upon the choice of protein. It is also best to make a large batch and store it for future use. Do not add sugar of any kind to a rub that will be stored. Add brown or white sugar as needed. The universal rub recipe can be used on anything that will be grilled, including most seafood types. It will store for 1 year in a tightly sealed container. When barbecuing, keep it simple. A few simple flavors, done very well, go further than long, complicated recipes. When using rubs, add a little of it to any of the sauces going on the meat to tie flavors together better. What are your favorite BBQ recipes? We always BBQ in the summer (and fall, spring and sometimes the winter!). We love to make ribs, they are our favorite! !